My idea was to create something that was very brilliant in color, functional and 3D for those of us that are so very tactile. Working full time as a dental assistant I have acquired knowledge in adhesion, and bonding agents. With my desire to work with glass and my background in adhesions I found myself starting to create some very funky items. My end result is form and functional glass art. 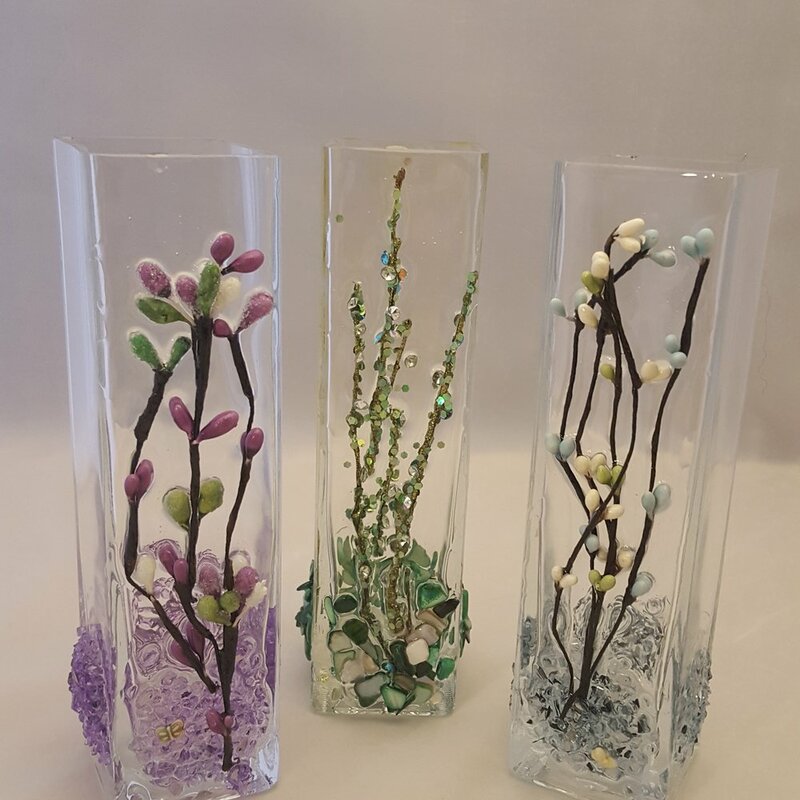 The cold curing of the resin to the glass allows me to use a variety of different artificial and items together. 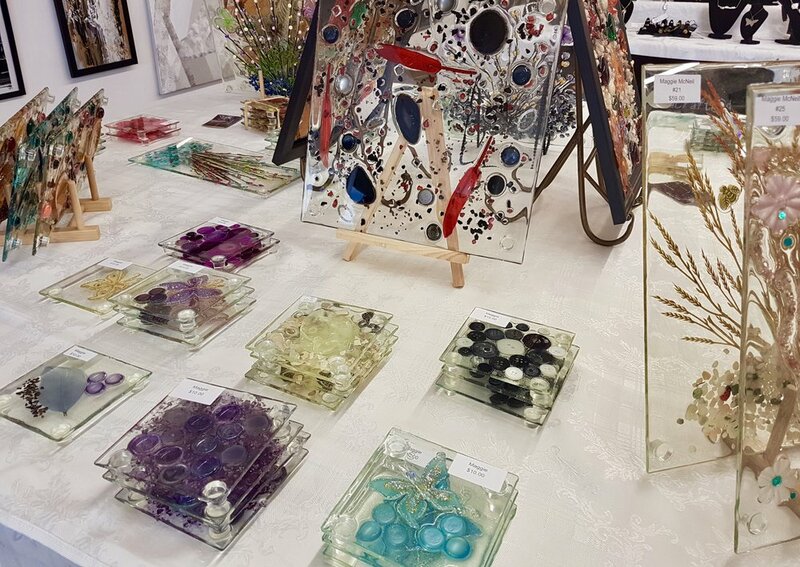 Working some items like dried fruits, pressed flowers, charms, shells, jewelry pieces and many other different items allows for beautiful coaster, sun-catcher vases, platters and lanterns. Most importantly my work with color and texture always brings a huge smile to those who stop by my table for a visit.